In this section we discuss the emerging OpenStack use case for management of HPC infrastructure. We introduce Ironic, the OpenStack bare metal service and describe some of the differences, advantages and limitations of managing HPC infrastructure as a bare metal OpenStack cloud. Compared with OpenStack, established approaches to HPC infrastructure management are very different. Conventional solutions offer much higher scale, and much lower management plane overhead. However, they are also inflexible, difficult to use and slow to evolve. OpenStack’s integrated support for multi-tenancy infrastructure introduces segregation between users and projects that require isolation. The cloud model enables the infrastructure deployed for different projects to use entirely different software stacks. The software-defined orchestration of deployments is assumed. This approach, sometimes referred to as “infrastructure as code”, ensures that infrastructure is deployed and configured according to a prescriptive formula, often maintained under source control in the same manner as source code. The range of platforms supported by Ironic is highly diverse. Just about any hardware can and has been used in this context. The collaborative open development model of OpenStack ensures that community support is quick and easy to obtain. The “infrastructure as code” concept is also gaining traction among some HPC infrastructure management platforms that are adopting proven tools and techniques from the cloud infrastructure ecosystem. HPC infrastructure deployment is not the same as cloud deployment. A cloud assumes large numbers of users, each administering a small number of instances compared to the overall size of the system. In a multi-tenant environment, each user may use different software images. Without coordination between the tenants, it would be very unlikely for more than a few instances to be deployed at any one time. The software architecture of the cloud deployment process is designed around this assumption. A single user (the cluster administrator). HPC infrastructure is a managed service, not user-administered. A single software image. All user applications will run in a single common environment. Large proportions of the HPC cluster will be deployed simultaneously. Many HPC infrastructures use diskless compute nodes that network-boot a common software image. In the terminology of the cloud world, a typical HPC infrastructure deployment might even be considered a “black swan event”. Cloud deployment strategies do not exploit the simplifying assumptions that deployments are usually across many nodes using the same image and for the same user. Consequently, OpenStack Ironic deployments tend to scale to the low thousands of compute nodes with current software releases and best-practice configurations. Network booting a common image is a capability that only recently has become possible in OpenStack and has yet to become an established practice. Using Ironic, bare metal compute nodes are automatically provisioned at a user’s request. Once the compute allocation is released, the bare metal hardware is automatically decommissioned ready for it’s next use. Ironic requires no presence on the compute node instances that it manages. The software-defined infrastructure configuration that would typically be applied in the hypervisor environment must instead be applied in the hardware objects that interface with the bare metal compute node: local disks, network ports, etc. A wide range of hardware is supported, from full-featured BMCs on enterprise server equipment down to devices whose power can only be controlled through an SNMP-enabled data centre power strip. Physical properties of the compute node, including CPU count, RAM size and disk capacity. The MAC address of the network interface used for provisioning instance software images. The hardware drivers used to control and interact with the compute node. Details needed by those drivers to address this specific compute node (for example, BMC IP address and login credentials). The current power state and provisioning state of the compute node, including whether it is in active service. A node is initially registered with a minimal set of identifying credentials - sufficient to power it on and boot a ramdisk. Ironic generates a detailed hardware profile of every compute node through a process called Hardware Inspection. Hardware inspection uses this minimal bootstrap configuration provided during node registration. During the inspection phase a custom ramdisk is booted which probes the hardware configuration and gathers data. The data is posted back to Ironic to update the node inventory. Large amounts of additional hardware profile data are also made available for later analysis. The inspection process can optionally run benchmarks to identify performance anomalies across a group of nodes. Anomalies in the hardware inspection dataset of a group of nodes can be analysed using a tool called Cardiff. Performance anomalies, once identified, can often be traced to configuration anomalies. This process helps to isolate and eliminate potential issues before a new system enters production. The ability for Ironic to support multi-tenant network isolation is a new capability, first released in OpenStack’s Newton release cycle. This capability requires some mapping of the network switch ports connected to each compute node. The mapping of an Ironic network port to its link partner switch port is maintained with identifiers for switch and switch port. These are stored as attributes in the Ironic network port object. Currently the generation of the network mapping is not automated by Ironic. Multi-tenant networking is implemented through configuring state in the attached switch port. The state could be the access port VLAN ID for a VLAN network, or VTEP state for a VXLAN network. Currently only a subset of Neutron drivers are able to perform the physical switch port state manipulations needed by Ironic. Switches with VXLAN VTEP support and controllable through the OVSDB protocol are likely to be supported. Ironic maintains two private networks of its own: Networks dedicated to node provisioning and cleaning networks are defined in Neutron as provider networks. When a node is deployed, its network port is placed into the provisioning network. Upon successful deployment the node is connected to the virtual tenant network for active service. Finally, when the node is destroyed it is placed on the cleaning network. Maintaining distinct networks for each role enhances security, and the logical separation of traffic enables different QoS attributes to be assigned for each network. In HPC hardware configurations, compute nodes are attached to multiple networks. Separate networks dedicated to management and high-speed data communication are typical. Current versions of Ironic do not have adequate support for attaching nodes to multiple physical networks. Multiple physical interfaces can be defined for a node, and a node can be attached to multiple Neutron networks. However, it is not possible to attach specific physical interfaces to specific networks. Consequently, with current capabilities only a single network interface should be managed by Ironic. Other physical networks would be managed outside of OpenStack’s purview, but will not benefit from OpenStack's multi-tenant network capabilities as a result. Furthermore, Ironic only supports a single network per physical port: all network switch ports for Ironic nodes are access ports. Trunk ports are not yet supported although this feature is in the development backlog. Many server management products include support for remote consoles, both serial and video. Ironic includes drivers for serial consoles, built upon support in the underlying hardware. Recently-developed capabilities within Ironic have seen bare metal consoles integrated with OpenStack Nova’s framework for managing virtual consoles. Ironic’s node kernel boot parameters are extended with a serial console port, which is then redirected by the BMC to serial-over-LAN. Server consoles can be presented in the Horizon web interface in the same manner as virtualised server consoles. Currently this capability is only supported for IPMI-based server management. When bare metal compute is sold as an openly-accessible service, privileged access is granted to a bare metal system. There is substantial scope for a malicious user to embed malware payloads in the BIOS and device firmware of the system. Node Cleaning: Ironic’s node state machine includes states where hardware state is reset and consistency checks can be run to detect attempted malware injection. Ironic’s default hardware manager does not support these hardware-specific checks. However, custom hardware drivers can be developed to include BIOS configuration settings and firmware integrity tests. Network Isolation: Through using separate networks for node provisioning, active tenant service and node cleaning, the opportunities for a compromised system to probe and infect other systems across the network are greatly reduced. Trusted Boot: use of a Trusted Platform Module (TPM) and chain of trust built upon it is necessary. These processes are used to secure public cloud deployments of Ironic-administered bare metal compute today. None of these capabilities is enabled by default. Hardening Ironic’s security model requires expertise and some amount of effort. The cloud model use case makes different assumptions to HPC. A cloud is expected to support a large number of individual users. At any time, each user is assumed to make comparatively small changes to their compute resource usage. The HPC infrastructure use case is dramatically different. HPC infrastructure typically runs a single software image across the entire compute partition, and is likely to be deployed jointly in one operation. Ironic’s current deployment models do not scale as well as the models used by conventional HPC infrastructure management platforms. xCAT uses a hierarchy of subordinate service nodes to fan out an iSCSI-based image deployment. Rocks cluster toolkit uses BitTorrent to distribute RPM packages to all nodes. In the Rocks model, each deployment target is a torrent peer. The capacity of the deployment infrastructure grows alongside the number of targets being deployed. However, the technologies for content distribution and caching that are widely adopted by the cloud can be incorporated to address this issue. Caching proxy servers can be used to speed up deployment at scale. With appropriate configuration choices, Ironic can scale to handle deployment to multiple thousands of servers. An overview of Ironic’s node deployment process when using the Ironic Python Agent ramdisk and Swift URLs for image retrieval. This strategy demonstrates good scalability, but the deploy disk image cannot be bigger than the RAM available on the node. The strengths of cloud infrastructure tooling become apparent once Ironic has completed deployment. From this point a set of unconfigured compute nodes must converge into the HPC compute platform required to meet the users’ needs. A rich ecosystem of flexible tools is available to perform this purpose. See the section OpenStack and HPC Workload Management for further details of some of the available approaches. Chameleon is an infrastructure project implementing an experimental testbed for Computer Science led by University of Chicago, with Texas Advance Computing Center (TACC), University of Texas at San Antonio (UTSA), Northwestern University and Ohio State University as partners. The Chameleon project is funded by the National Science Foundation. The current system comprises ~600 nodes split between sites at TACC in Austin and University of Chicago. The sites are interconnected with a 100G network. The compute nodes are divided into twelve racks, referred to as “standard cloud units”, comprising 42 compute nodes, 4 storage nodes with 16 2 TB hard drives each, and 10G Ethernet connecting all nodes with an SDN-enabled top-of-rack switch. Each SCU has 40G Ethernet uplinks into the Chameleon core network fabric. On this, largely homogenous framework were grafted heterogenous elements allowing for different types of experimentation. One SCU has Mellanox ConnectX-3 Infiniband. Two computer nodes were set up as storage hierarchy nodes with 512 GB of memory, two Intel P3700 NVMe of 2.0 TB each, four Intel S3610 SSDs of 1.6 TB each, and four 15K SAS HDDs of 600 GB each. Two additional nodes are equipped with NVIDIA Tesla K80 accelerators and two with NVIDIA Tesla M40 accelerators. In the near term additional, heterogeneous cloud units for experimentation with alternate processors and networks will be incorporated, including FPGAs, Intel Atom microservers and ARM microservers. Compute nodes with GPU accelerators have already been added to Chameleon. Chameleon’s public launch was at the end of July 2015; since then it has supported over 200 research projects into computer science and cloud computing. The system is designed to be deeply reconfigurable and adaptive, to produce a wide range of flexible configurations for computer science research. Chameleon uses the OpenStack Blazar project to manage advance reservation of compute resources for research projects. 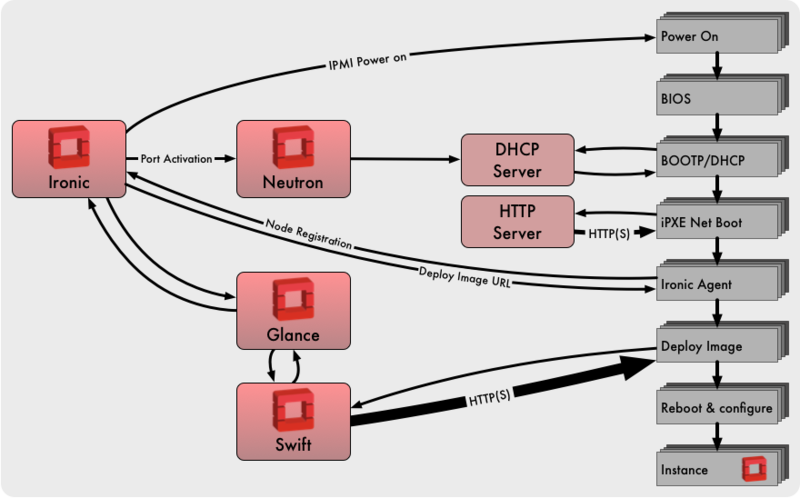 Chameleon deploys OpenStack packages from RDO, orchestrated using OpenStack Puppet modules. Chameleon’s management services currently run CentOS 7 and OpenStack Liberty. Through Ironic a large proportion of the compute nodes are provided to researchers as bare metal (a few SCUs are dedicated to virtualised compute instances using KVM). Chameleon’s Ironic configuration uses the popular driver pairing of PXE-driven iSCSI deployment and IPMItool power management. Ironic’s capabilities have expanded dramatically in the year since Chameleon first went into production, and many of the new capabilities will be integrated into this project. Ironic-Cinder integration, orchestrating the attachment of network block devices to bare metal instances. This capability has been under active development in Ironic and at the time of writing it is nearing completion. Network isolation, placing different research projects onto different VLANs to minimise their interference with one another. Chameleon hosts projects researching radically different forms of networking, which must be segregated. Bare metal consoles, enabling researchers to interact with their allocated compute nodes at the bare metal level. BIOS parameter management, enabling researchers to (safely) change BIOS parameters, and then to restore default parameters at the end of an experiment. Bridges supports a diverse range of use cases, including graph analytics, machine learning and genomics. As a flexible resource, Bridges supports traditional SLURM-based batch workloads, Docker containers and interactive web-based workflows. 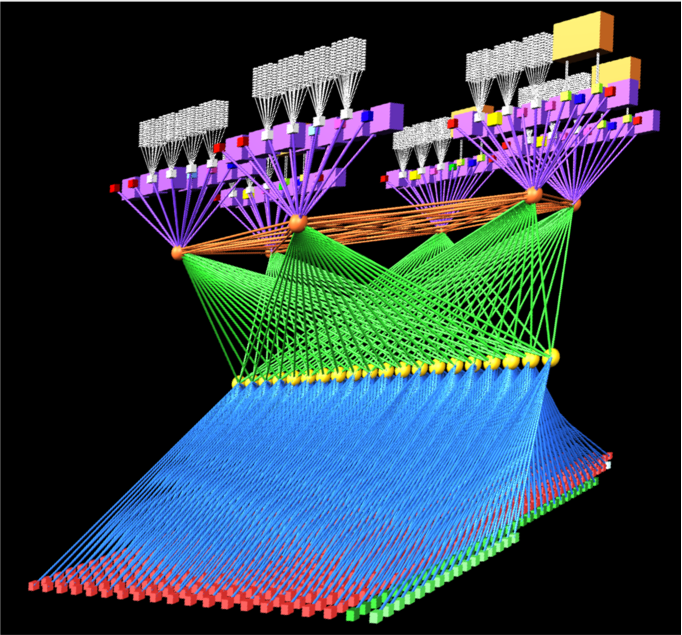 Bridges has 800 compute nodes, 48 of which have dual-GPU accelerators from Nvidia. There are also 46 high-memory nodes, including 4 with 12TB of RAM each. The entire system is interconnected with an Omnipath high-performance 100G network fabric. Bridges is deployed using community-supported free software. The OpenStack control plane is CentOS 7 and Red Hat RDO (a freely available packaging of OpenStack for Red Hat systems). OpenStack deployment configuration is based on the PackStack project. Bridges was deployed using OpenStack Liberty and is scheduled to be upgraded to OpenStack Mitaka in the near future. Most of the nodes are deployed in a bare metal configuration using Ironic. Puppet is used to select the software role of a compute node at boot time, avoiding the need to re-image. For example, a configuration for MPI, Hadoop or virtualisation could be selected according to workload requirements. OmniPath networking is delivered using the OFED driver stack. Compute nodes use IP over OPA for general connectivity. HPC apps use RDMA verbs to take full advantage of OmniPath’s capabilities. Visualisation of the Bridges OmniPath network topology. 800 General purpose compute nodes and GPU nodes are arrayed along the bottom of the topology. Special purpose compute nodes, storage and control plane nodes are arrayed across the top of the topology. 42 compute nodes connect to each OmniPath ToR switch (in yellow), creating a “compute island”, with 7:1 oversubscription into the upper stages of the network. The Bridges system is a very large deployment for Ironic. While there are no exact numbers, Ironic has been quoted to scale to thousands of nodes. Coherency issues between Nova Scheduler and Ironic could arise if too many nodes were deployed simultaneously. Introducing delays during the scripting of the "nova boot" commands kept things in check. Node deployments would be held to five ‘building’ instances with subsequent instances staggered by 25 seconds, resulting in automated deployment of the entire machine taking 1-2 days. Within Ironic the periodic polling of driver power states is serialised. BMCs can be very slow to respond, and this can lead to the time taken to poll all power states in series to grow quite large. On Bridges, the polling takes approximately 8 minutes to complete. This can also lead to apparent inconsistencies of state between Nova and Ironic, and the admin team work around this issue by enforcing “settling time” between deleting a node and reprovisioning it. The ability to manage system image creation using OpenStack tools such as diskimage-builder. Ironic’s automation of the management of PXE node booting. The prescriptive repeatable deployment process developed by the team using Ironic and Puppet. Using other OpenStack services such as Magnum (Containerised workloads), Sahara (Hadoop on the fly) and Trove (database as a service). Developing Ironic support for network boot over OmniPath. Diskless boot of extremely large memory nodes using Ironic’s Cinder integration. Deployment of a containerised OpenStack control plane using Kolla. Increased convergence between bare metal and virtualised OpenStack deployments. “One of the great things is that as OpenStack improves, Bridges can improve. As these new projects come online, we can incorporate those features and the Bridges architecture can grow with the community." In 2014 and 2015 the US Department of Energy announced three new giant supercomputers, totalling $525 million, to be procured under the CORAL (Collaboration of Oak Ridge, Argonne and Livermore) initiative. Argonne National Laboratory’s $200 million system, Aurora, features a peak performance of 180 PFLOPs delivered by over 50,000 compute nodes. Aurora is expected to be 18 times more powerful than Argonne’s current flagship supercomputer (Mira). 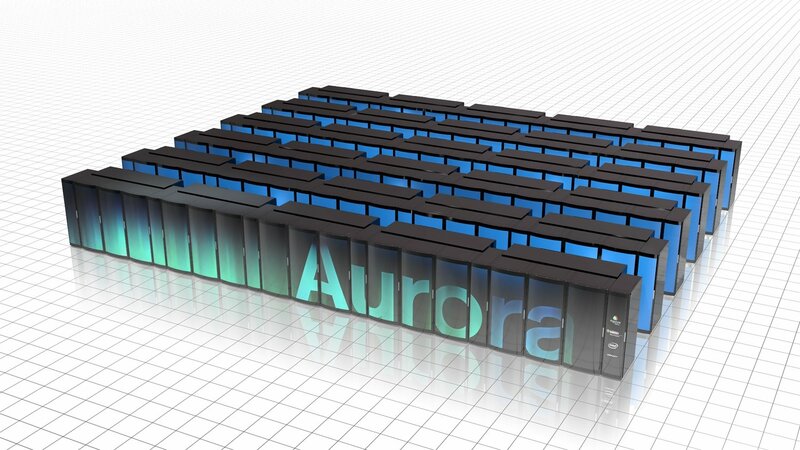 Aurora is to be deployed in 2018 by Intel, in partnership with Cray. Aurora exemplifies the full capabilities of Intel’s Scalable Systems Framework initiative. Whilst Intel are providing the processors, memory technology and fabric interconnect, Cray’s long experience and technical expertise in system integration are also fundamental to Aurora’s successful delivery. Cray today sells a wide range of products for supercomputing, storage and high-performance data analytics. Aside from the company’s core offering of supercomputer systems, much of Cray’s product line has come through acquisition. As a result of this historical path the system management of each product is different, has different capabilities, and different limitations. The system management software that powers Cray’s supercomputers has developed through long experience to become highly scalable and efficient. The software stack is bespoke and specialised to delivering this single capability. In some ways, it’s inflexible excellence represents the antithesis of OpenStack and software-defined cloud infrastructure. Faced with these challenges, and with customer demands for open management interfaces, in 2013 Cray initiated a development programme for a unified and open solution for system management across the product range. Cray’s architects quickly settled on OpenStack. OpenStack relieves the Cray engineering team of the generic aspects of system management and frees them up to focus on problems specific to the demanding nature of the products. Enhanced Ironic deployment, using the Bareon ramdisk derived from the Fuel deployment project. Cray management servers require complex deployment configurations featuring multiple partitions and system images. Diskless Ironic deployment, through active participation in the development of Cinder and Ironic integration. Ironic multi-tenant networking, through submission of bug fixes and demonstration use cases. Containerised OpenStack deployment, through participation in the OpenStack Kolla project. Scalable monitoring infrastructure, through participation in the Monasca project. In the space of HPC infrastructure management, OpenStack’s attraction is centred on the prospect of having all the benefits of software-defined infrastructure while paying none of the performance overhead. Fully-virtualised infrastructure provides all capabilities of cloud with much of the performance overhead of cloud. Virtualised infrastructure using techniques such as SR-IOV and PCI pass-through dramatically improves performance for network and IO intensive workloads, but imposes some constraints on the flexibility of software-defined infrastructure. Bare metal infrastructure management using Ironic incurs no performance overhead, but has further restrictions on flexibility. Each of these strategies is continually improving. Fully-virtualised infrastructure using OpenStack private cloud provides control over performance-sensitive parameters like resource over-commitment and hypervisor tuning. It is anticipated that infrastructure using hardware device pass-through optimisations will soon be capable of supporting cloud capabilities like live migration. Ironic’s bare metal infrastructure management is continually developing new ways of presenting physical compute resources as though they were virtual. OpenStack has already arrived in the HPC infrastructure management ecosystem. Projects using Ironic for HPC infrastructure management have already demonstrated success. As it matures, its proposition of software-defined infrastructure without the overhead will become increasingly compelling. While it is rapidly becoming popular, Ironic is a relatively young project within OpenStack. Some areas are still being actively developed. For sites seeking to deploy Ironic-administered compute hardware, some limitations remain. However, Ironic has a rapid pace of progress, and new capabilities are released with every OpenStack release cycle. HPC infrastructure management using OpenStack Ironic has been demonstrated at over 800 nodes, while Ironic is claimed to scale to managing thousands of nodes. However, new problems become apparent at scale. Currently, large deployments using Ironic should plan for an investment in the skill set of the administration team and active participation within the Ironic developer community. Pierre Riteau, University of Chicago and Chameleon DevOps lead. Kate Keahey, University of Chicago and Chameleon Science Director. Robert Budden, Senior Cluster Systems Developer, Pittsburgh Supercomputer Center. Kitrick Sheets, Senior Principal Engineer, Cray Inc.